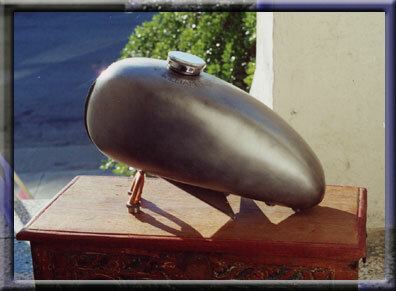 This urn was made from a motorcycle gas tank for the passing of a friend. It was hand lettered and polished and incorporated items from his life that I know would please him. A similar one can be created using personal items. Price based on individual design. Pricing does not include shipping or handling.